I rode Arrow with MapMyRide+! Distance: 16.42mi, time: 01:03:53, pace: 3:53min/mi, speed: 15.42mi/h. Not a long ride, but add on 10 miles from this morning’s commute. Speaking of that, something strange seen on the way to work. Under the railway bridge, a bird standing in the road. I veered round it and it didn’t even flinch. Ruffled feathers suggests a youngster, perhaps he took wing too soon. The Bird just stood there, blinking. What could I do, I scooped it up in my gloved hands and placed it in a garden. With luck, somebody will do something more useful, something before a cat gets there. 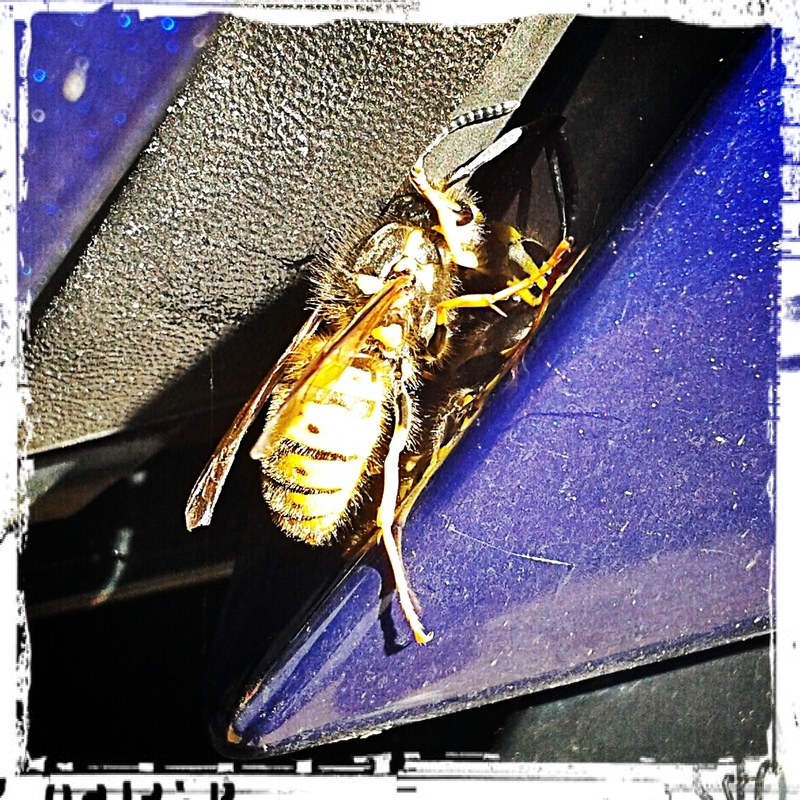 A wasp struggling after getting stuck in the car. This entry was posted in Commuting and tagged pigeon. Bookmark the permalink.